I will be posting a video today! I realize it has been a very long time since I did one. 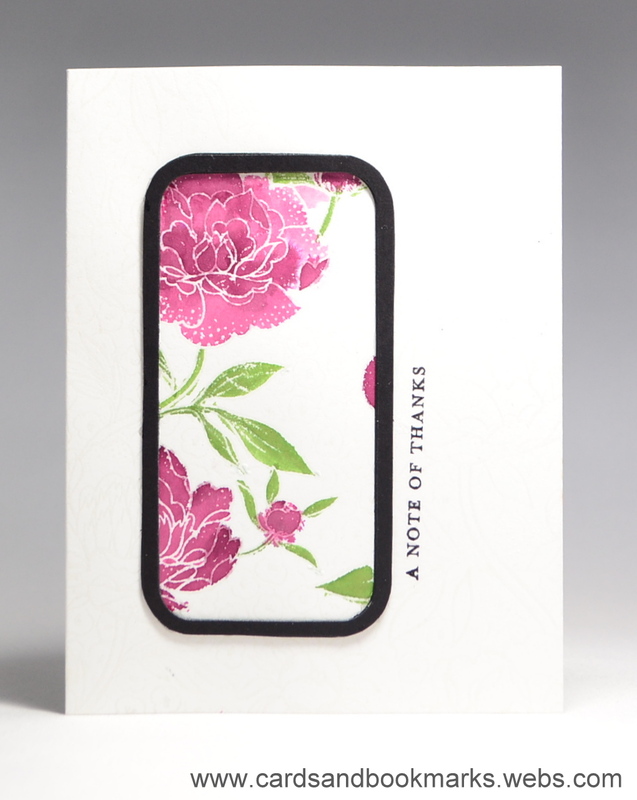 I did make a video two weeks ago, but wasn’t quite satisfied with the card. Anyhow…I finally made some time today to make another one. For this one I measured and cut the frame by hand, which took some tome. So I decided to use a frame cut (in the first card), which makes it much easier to make the frame. I am entering this card for the Runway Inspired Challenge #14. 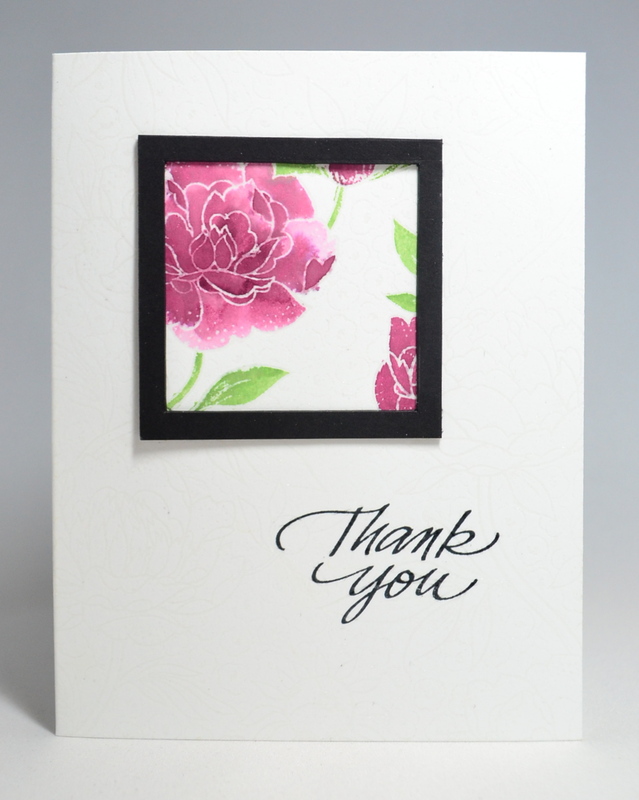 Stamps: Hero Arts “Large Flower Background” Stampin’Up! “Thank You Kindly”. Inks: Stampin’ Up! Rich Razzleberry and Wild Wasabi..
Tools: Hero Arts “Rectangle Frame”, Inkadinkado clear embossing powder, Martha Stewart Heat Gun,Recollection Anti Static pad.